The Ritz-Carlton Hotel Company is making waves as it unveils its newest brand extension. The Ritz-Carlton Yacht Collection is the first foray by a luxury hotel operator into the cruise industry. 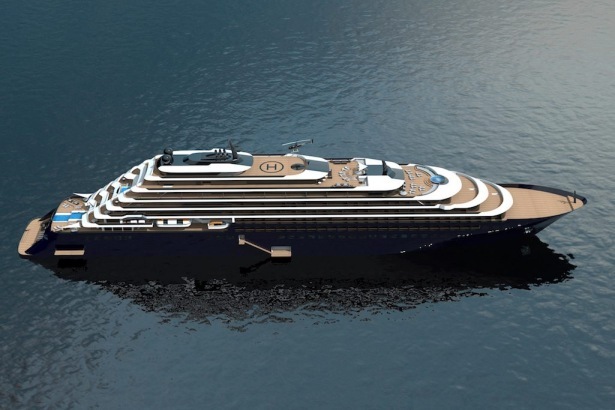 The first of three Ritz-Carlton cruising yachts is scheduled to take to the seas in 2019, with two others coming on board in 2021 and 2022. 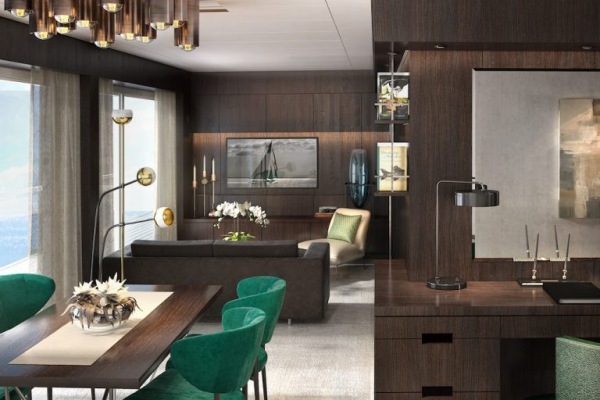 Seven-to-10-day European and Caribbean itineraries are currently developed for the first ship, a vessel that can accommodate 298 guests in 149 suites (each with a private balcony). The yacht will have several food and beverage outlets, including a restaurant by Sven Elverfeld of the three Michelin-starred Aqua at The Ritz-Carlton in Wolfsburg, Germany. A Ritz-Carlton spa will be another featured amenity. The trips themselves will be designed to focus on destination immersion through collaborations with local chefs, musicians, and artists both on the ship and ashore. Four years ago, Ritz-Carlton found those partners. One is Douglas Prothero, a multi-hyphenate marine industry professional who has served as a financier and consultant for banks and ship owners on maritime transactions. The other is international business economist and veteran cruise developer and executive Lars Clasen. Now serving as managing directors of The Ritz-Carlton Yacht Collection, the pair head a team of cruise and maritime veterans with vast industry experience.